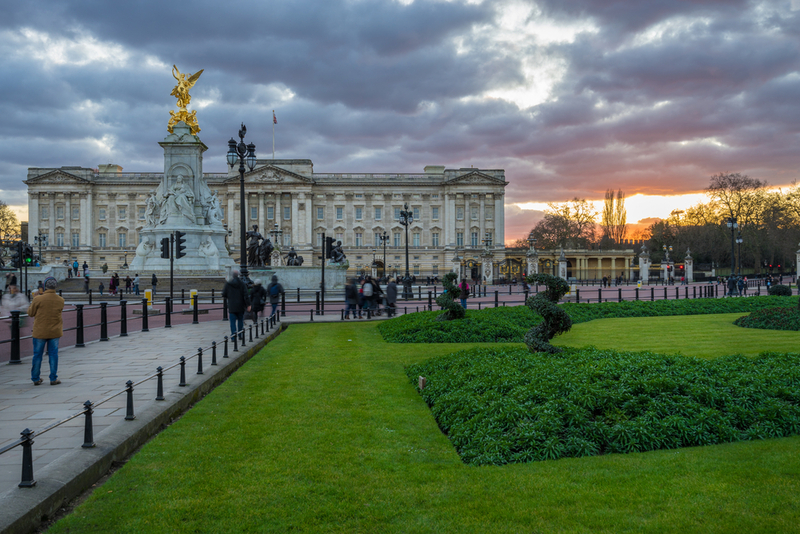 Like New York and the Empire State Building, there’s no way you can visit London without taking the time to make the journey to Buckingham Palace. Even if it weren’t still a functioning Royal residence, the beautiful looks and storied history behind the place would make it a must-see for every visitor to the city. It’s one of the most famous buildings in the world, let alone London, and there’s a good reason millions of people go out of their way to visit the palace every single year. With this in mind, we’ve put together this guide to help you get there from The Devonshire London on the Tube– and to tell you what you need to see once you get there. While the Tube can be daunting to many first-time visitors to London, the journey from The Devonshire London to Buckingham Palace is straightforward and easy. From Devonshire Terrace, you’ll need to walk about five minutes to the nearby Lancaster Gate Station. Once there, jump on the Central Line Service 148– marked in red – bound for Camberwell Green. The journey in total will only take about ten minutes, and you don’t have to worry about making any changes. Once you see Hyde Park Corner (Stop F) coming up, this is where you need to jump off the Tube. Now all you need to do is walk north-east on Duke of Wellington Place, then swing right onto Constitution Hill. Turn right again, and you’ve arrived at Buckingham Palace. Of course, once you arrive at Buckingham Palace, you’re going to want to take in the stunning place and capture some great snaps of your visit. But there are other things to do in and around the palace that many people don’t realise are even there. For some fantastic insight into the Royal way of life, it’s worth taking the time to seek out The Royal Mews. This is where all of the Royal carriages and carriage horses reside when they’re not out ferrying around various members of the Royal family. Here you can find the famous Gold State Coach, the Diamond Jubilee State Coach, the livery of the Queen’s horseman and more. There’s a guided tour available, or you can find your way around the stunning collection at your own pace. If you want to see some samples of Royal wealth and heritage, it’s also a good idea to visit The Queen’s Gallery. Functioning as a museum and combined gallery space, this is where you can find bejewelled, exotic pieces of Royal history, collected over hundreds of years. It’s also home to the Royal Family’s extensive art collection, which covers everything from classic pieces to more modern fare. If you’re a little tired after all the Royal sightseeing, you’re only a short journey from the wellness treatments – we’d recommend a massage – offered by The Gym Devonshire. The Royal Mews and The Queen’s Gallery both offer an astonishing inside view of Royal life, and they’re both worth seeking out once you’ve made the journey to Buckingham Palace.